The Temple of Treasure: Megaways slot game takes place in the deep jungles that are filled with surprise artifacts. This is a megaways game whose ways to pay expand between few hundred and all the way to 117,649 considering all possible win combinations. The reel-set is shaped with six reels and rows that can expand, but on top of the middle four reels is another row. The starting wager is at £0.20 and the cap is on £100. The game provides a bonus feature in the shape of free spins that are triggered by the bonus symbol - the choice is, pick more free spins with fewer megaways active, or the other way around? 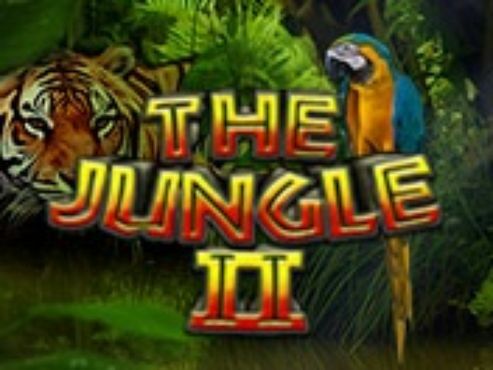 Enter the Mayan jungle to discover the Temple of Treasure: Megaways slot for a chance to win the maximum jackpot prize of 250,000. 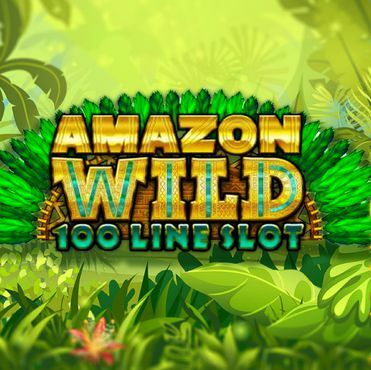 A brand new Mesoamerica Maya/Aztec slots adventure is in town and it's ready to take the player up the stepped pyramid and into the megaways jungle crawling with potential winnings. Between this and any other standard slot game, there is a world of difference. 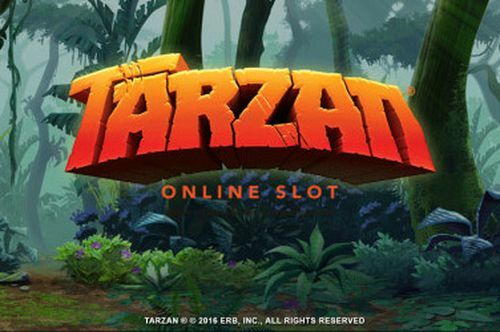 The megaways style of slots seems to be taking off, now with more than few titles that are representative to all the fun that entails behind a grid that can expand do few thousand megaways. 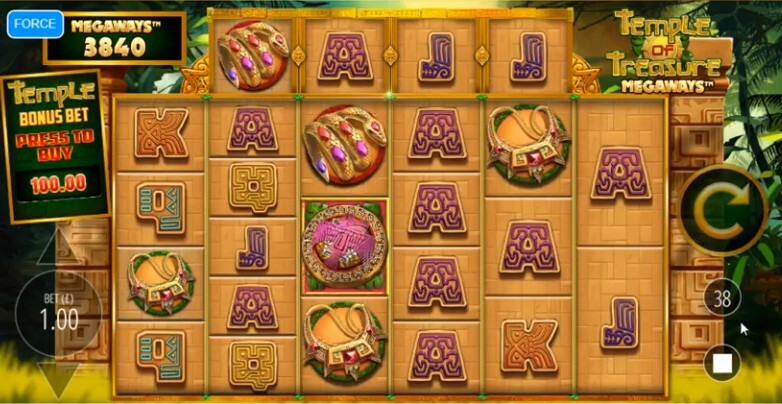 The Temple of Treasures: Megaways slot has an Aztec/Maya theme and is set in front of a huge pyramid, whose big heavy blocks give way to a range of symbols, among which are specialty and bonus symbols. 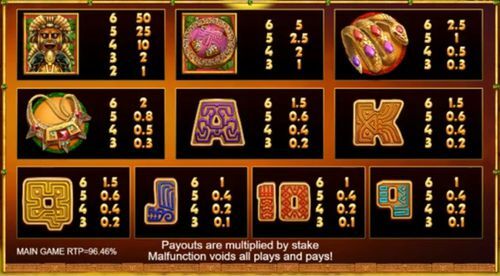 The game has a free spins bonus at which the player can choose the mode across which the game is going to make the spins. This is precisely related to the Megaways option, so the players know that the number of ways could go from few hundred to 10,000 and more. Setting up for the play on requires selecting the bet per spin and that is all there is to it. With the need to configure the number of paylines removed, all that the players can do is select the bet per spin and enjoy the slot game. A word of precaution is, this is not a penny slot but it is not an incredibly expensive one either. The smallest bet starts at £0.20 and goes to as high as £100, with dozens of betting opins existing in-between. Besides setting the bet amount, there is the autoplay option which is really something this game couldn't be without. And there is the paytable, which lets you view the pays, the symbols, the game rules and information regarding the bonus symbols. Besides that, everything in the Temple of Treasure: Megaways slots is straightforward, as much as it is new and strange for most players out there. All winnings and events that occur on the reels are reported automatically. While the grid's squares seem to expand according to their own logic, there is a reason for why and how, so everything is in the game, part of the 117,649 Megaways structure. The slots experts at Blueprint gaming are probably the first crew to give a serious contender to the number of Big Time Gaming releases in the area of Megaway slots. The result is a spectacular time on the reels of a grid that constantly shifts and moves, always ready to deliver new potential winning outcomes through the basic six reels, and the four additional ones that are located on top. As for the symbols, you are going to encounter the high cards starting at nine and ending with the ace. Each one of these symbols has been decorated with the patterns that you would find on the walls of these ancient pyramids. The cards are the low-paying symbols and the picture symbols are those that pay more. Of these you will see several Mesoamerican artifacts, all studded with precious gems, or made of molars and skins that have been imbued with magical properties. The is also a purple disk and a smiling masked totem, which is the most lucrative symbol in the game. The winnings on Megaway slots are delivered in the 'adjacent reels' fashion. That means, any matching symbol combinations need to touch each other on adjacent reels. If there is a cluster belonging to the same symbol and this is uninterrupted, the winnings will be delivered. The game has a free spins mode which is one of the ways of delivering better chances for a win. Landing bonus symbols will bring you in front of a choice of either five, ten or 15 free spins, but this comes with a twist. Each order comes with fewer or more megaways. So the five free spins will have a minimum of 10,000 megaways, which can potentially stretch to the total of 117,649. 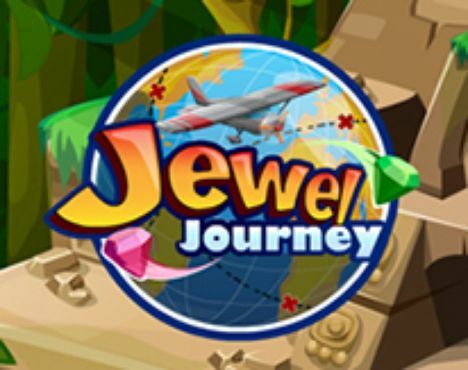 The 10 free spins come with 2304 ways and the 15 spins come with 324 megaways. In each of the three instances, there is an unlimited win multiplier and there is a mystery choice which can award any combination of free spins and megaways. 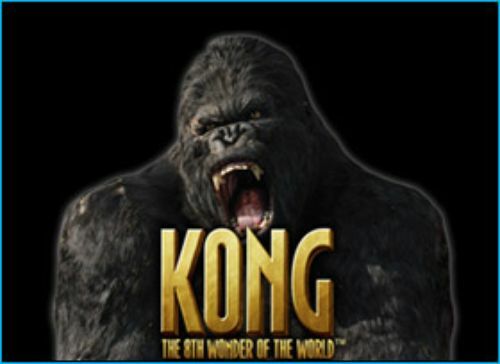 The top possible payout of 250,000 comes by way of a frenzy of events during the Temple of Treasure free spins games. This prize is possible on the highest wager and during free spins games which are retriggered for enough times so as to produce the maximum winning outcomes with the strongest symbol combinations. But even the smaller prizes are still considered big prizes in the world of Temple of Treasure: Megaways slot.